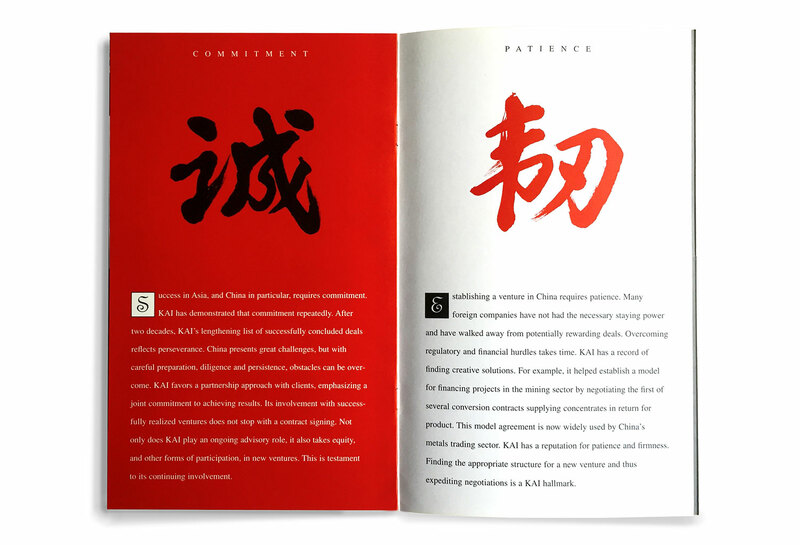 If you want to do business in China, you need to know Jenny Kamsky, entrepreneur and facilitator. 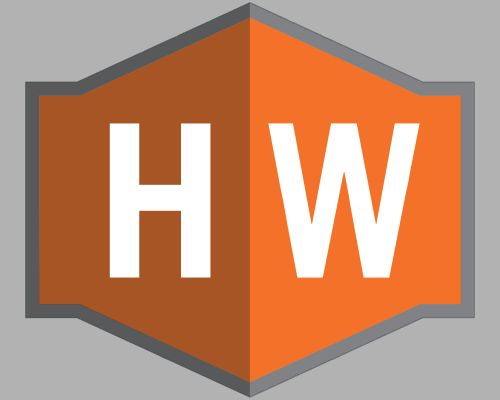 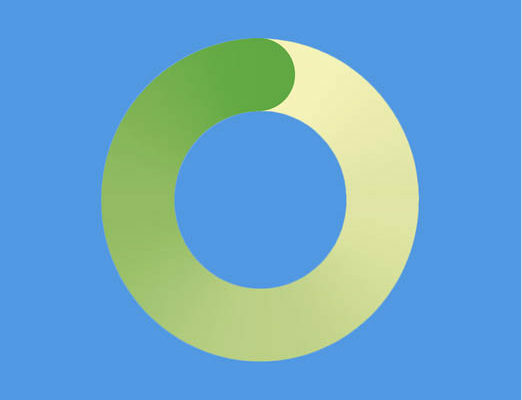 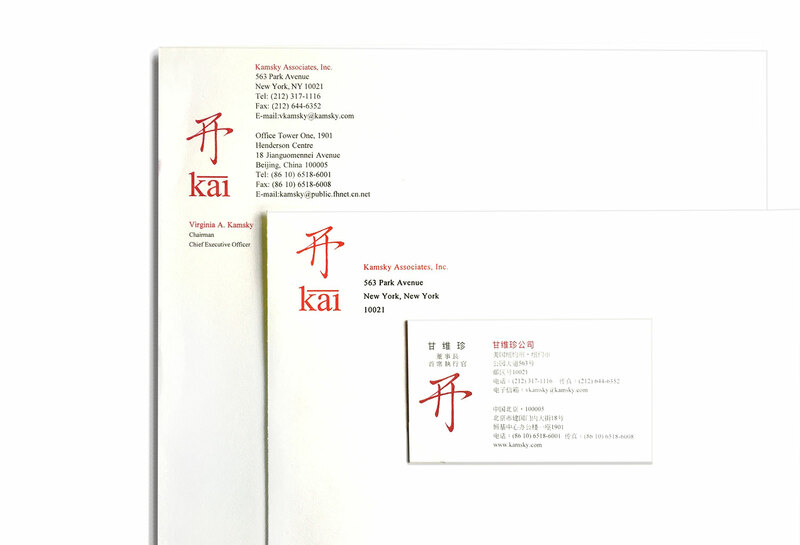 We created this identity and the supporting collateral that embodies her business. 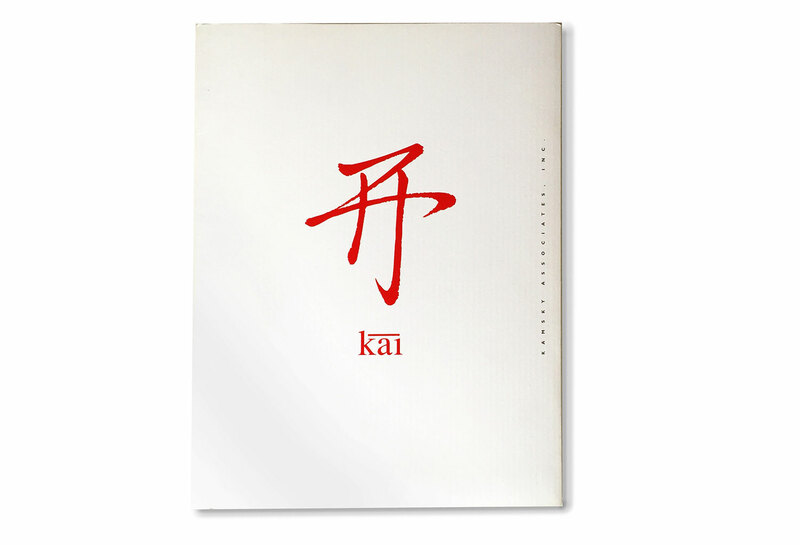 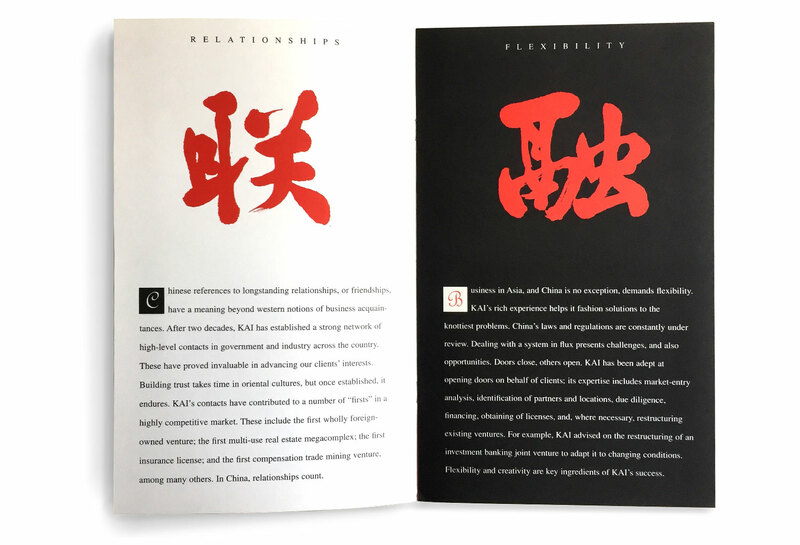 The ideogram that is the heart of the identity literally means “to open” and is pronounced “kai,” which is exactly what Kamsky Associates does for their clients in China. 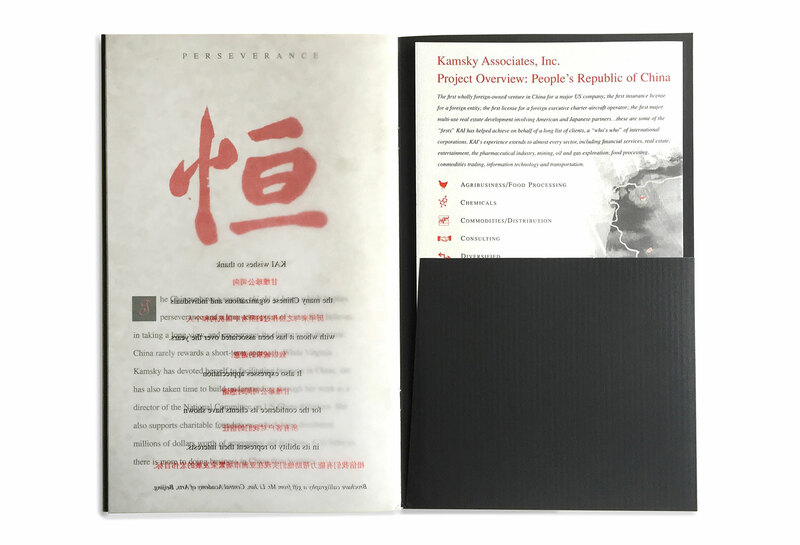 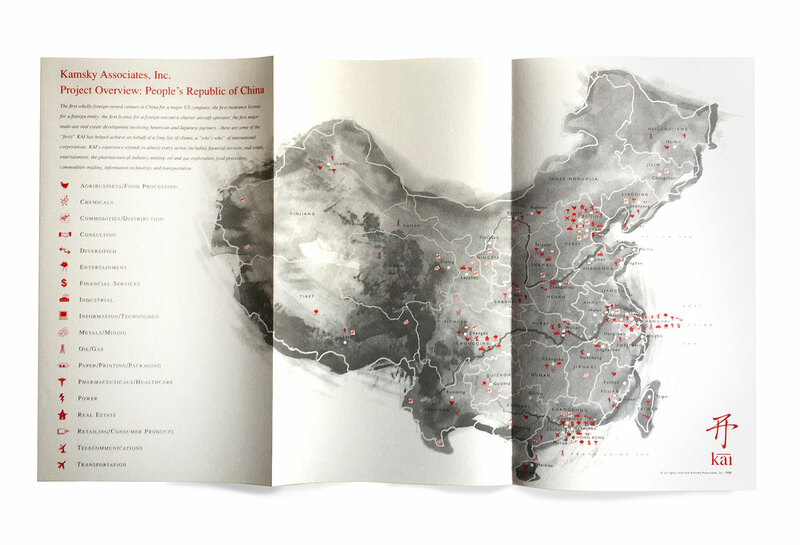 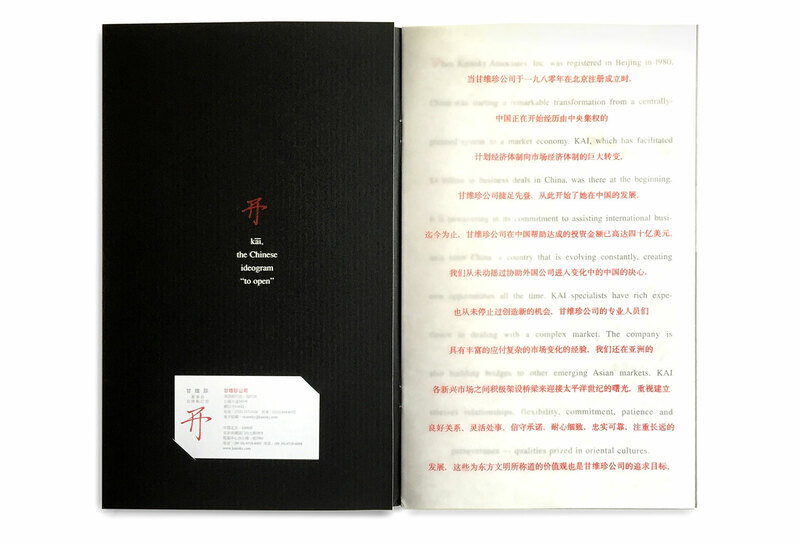 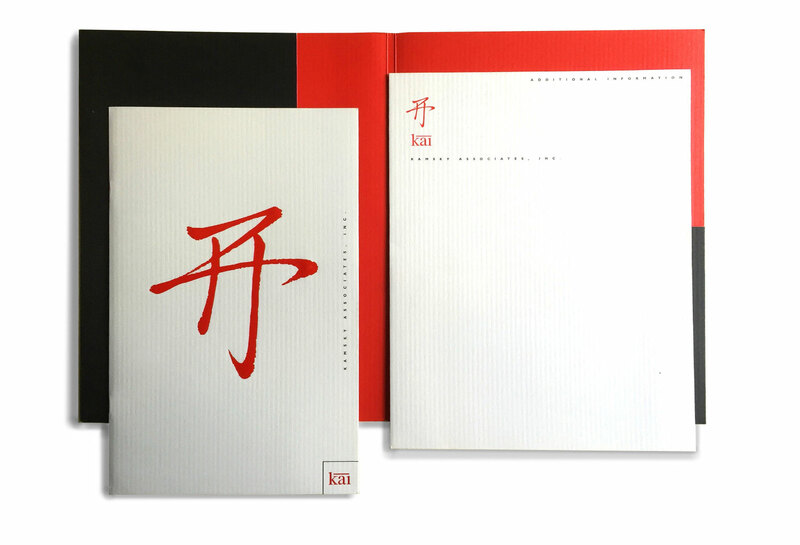 Shown here are: the housing folder; the capabilities brochure, featuring calligraphy done by a Chinese master; a foldout map on rice paper showing the breadth of projects in mainland China; and the stationery system. 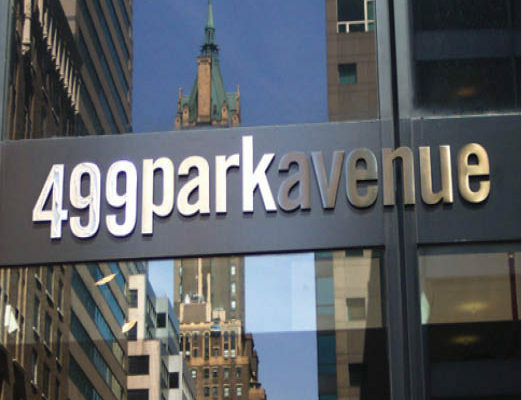 Six prime floors of 499 Park Avenue needed to be leased, so they came to us again to develop a mail campaign directed at high-end commercial real estate brokers.